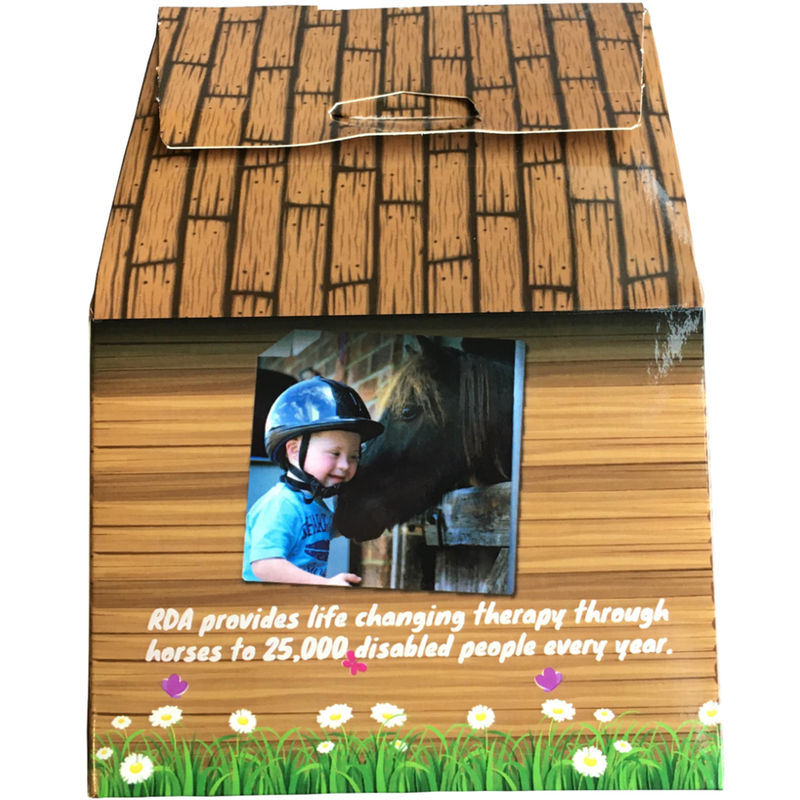 Get your RDA Collection Box and support the new exciting scheme which is being run to help raise money for your group and to support the National Training Centre (NTC). All the money raised will be shared 50/50 between yourselves and NTC. It will run until 1 December 2018 and will raise awareness of both your group and the NTC, AND encourage new donors who may not have supported RDA before. The boxes can go to anyone, parents, carers, participants, volunteers, friends and family. Encourage everyone you know to donate small change (and notes) and you will be amazed how it builds up. 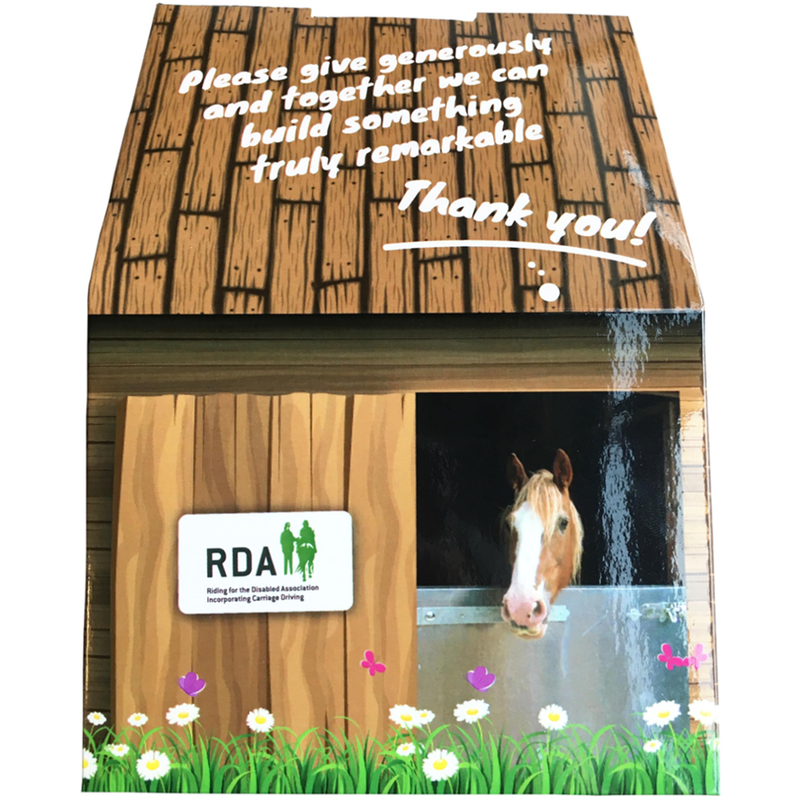 The boxes are flat-packed and easy to pop out and build – please remember to put a couple of RDA stickers (provided) onto the base to strengthen the box. Please see below for an instructional video on how to assemble your collection box.